The policy made by the company makes us engaged in offering a quality assured range of LT MCC Panel. Well known for its remarkable features, this panel is generally used in small scale industries & large scale industries. 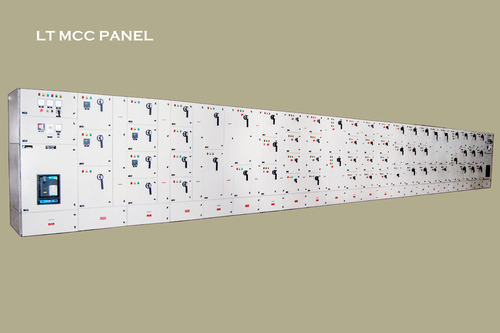 Utilization of qualitative resources and best use of manpower make this MCC panel more reliable and durable. In order to accomplish the particular needs of the clients, we provide this MCC panel in different specifications to choose from. Established in the year 2006, at Ahmedabad (Gujarat, India), we, “High Volt Power & Control Systems Pvt. Ltd.”, are involved in Manufacturing, Exporting, Trading and Supplying the best range of HT MCC Panel, VCB Panel, Control & Relay Panel, Control Panel, 11KV VCB Cubicle, RMU Ring Main Unit, Air Insulated Metal Clad, LT MCC Panel, etc. Our offered range of products is well-known for some unique features like durability, corrosion resistance, dimensional accuracy and perfect finish. The entire range of products finds huge demand in assorted industries for various applications. Because of our devotion towards offering splendid quality range of products to our esteemed customers at market leading rates and within the committed time period, we have gained a rich clientele base across the nation. In addition to this, we also Trade Cable End Termination Jointing Kit, which we procure from certified vendors of the market and are precisely tested on well defined parameters for its flawlessness.